After six months in India you’re not even quite sure that two plus two is four. 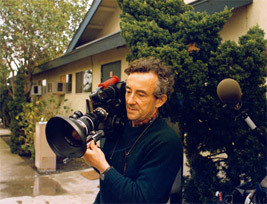 In 1967, Louis Malle was established as a major international filmmaker, a decade after his first fiction film, Ascenseur pour l’échafaud (Lift to the Scaffold) in 1957. His second film, Les Amants (The Lovers, 1958) had been a major critical success, as well as gaining a degree of notoriety with its story of a rich bored woman (Jeanne Moreau) who leaves her husband and small child, to drive off into the sunrise with a young archæologist she’d given a lift to when his 2CV broke down. It became known as a major film of the French New Wave, although Louis Malle felt apart from other young directors such as Claude Chabrol, Jean-Luc Godard and François Truffaut who had been associated with Cahiers du Cinéma. Zazie dans le Métro (Zazie, 1960) had been a complete change of pace. His attempts to find a cinematic equivalent to the free-wheeling prose of novelist Raymond Queneau were certainly not commercially successful. Vie Privée (A Very Private Affair, 1961) was made on the rebound from the flop of Zazie. It was a project largely brought to Malle by a producer, Christine Gouze-Rénal, wanting a project for Brigitte Bardot, and for Malle it was a very unhappy experience. He turned from it to a much smaller, but very challenging work, Le Feu Follet (1963), a moody, intimate story about a young man committing suicide. He made this film for his own company, Nouvelles Éditions de Films, and it was “the first of my films that I was completely happy with” (3). His next two films were by contrast much larger entertainments, co-productions between his company and United Artists. Viva Maria (1965) starred Brigitte Bardot and Jeanne Moreau as entertainers caught up in one of Mexico’s revolutions. In Le Voleur (The Thief of Paris, 1967), Jean-Paul Belmondo was a gentleman-thief in fin-de-siècle Paris. Then, at the urgings of Alain Delon, he agreed to make an episode for the omnibus film, Histoires Extraordinaires (1967), based on stories by Edgar Allen Poe. The other episodes were made by Federico Fellini and Roger Vadim. Malle’s experiences on this film (his episode was based on the story, “William Wilson”) were very unhappy. At first, Malle travelled around alone with only a 16mm camera. Then he returned with a small film crew of three. For the four months of shooting, Malle said he had not the faintest idea what he was going to do with the material. At first he had disagreements with his cameraman, Étienne Becker (son of director Jacques Becker). The professional cameraman was disconcerted with the way that the people they were filming were looking right at the camera. But Malle’s attitude is an important formative influence on the subsequent finished film. 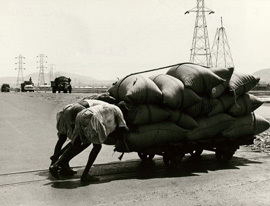 Subsequently, Malle organised his material into a documentary initially released in cinemas, Calcutta (1968-9), and a seven-part television series, L’Inde fantôme: Reflexions sur un voyage (Phantom India, 1969). The first episode of the series is sub-titled The Impossible Camera, and Malle as director and commentator specifically structures it to explore the role of the camera and the people using it when trying to understand a culture. As a foreigner, he is fascinated by – and films – vultures on a buffalo’s corpse. The Indians ignore the sight – for them, it is just an ordinary everyday scene. On the first day of filming, he informs us, one woman fled from the camera. The camera was “stealing herself from her”. Malle arrived back in Paris with all his footage from India at the beginning of May 1968. This was the height of the political turmoil that rocked France that year, spreading from student demonstrations into strikes that paralysed much of France; it would lead to the cancellation of the Cannes Film Festival later that month. Although he had thought that he would only remain briefly in Paris, the political events (for over a month he couldn’t even see his rushes because of strikes in the laboratories) and the editing kept him in Paris until practically the end of 1969. A generation later Malle would revisit this period in Milou en Mai (Milou in May, 1989). Out of this material, he ultimately fashioned a fascinating and involving documentary series. A major strength is the rigorous way that Malle always attempts to look beneath the veneer of our Western pre-conceptions to see if there is another truth. It is this approach that permeates Calcutta and the seven episodes of Phantom India – and very much justifies the sub-title, Reflections on a Journey. For example, the second episode (Things Seen in Madras) starts with a long, leisurely sequence following a juggernaut on a five-hour circuit. We are fascinated by the crowds of men exerting themselves to control and drag this massive religious float on its circuit in Madras. The Westerners’ perspective is acknowledged – he was, he admits caught up in the excitement, shooting reel after reel. It seemed different to Paris! After this sequence, he moves on, seeing a play in Tamil that was attacking bureaucratic corruption, and a family planning stand at a Madras fair. 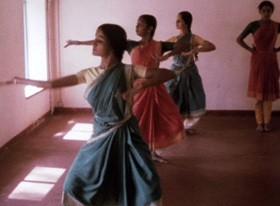 Then from posters advertising some of the films produced by the 15 major film studios in Madras we finish with a look at a theosophical dance, and we are given a lot of time to observe the students learning the dances. The use of time to allow us to also observe at length is important. But the end of this sequence expresses the unknowability of India for Westerners. We have seen young Indian students intently learning the ritual dances, absorbing and reflecting the intricate levels of significance and spirituality for them in the dances. Then we see two Westerners trying to learn the dances. They are competent – but there is an inherent emptiness in their steps. These are people probably disaffected by their own country, trying to become part of an exoticism that they will never be part of. They will never have the “true spirit” of India. Phantom India and Calcutta are definitely the major works in a new DVD box set, The Documentaries of Louis Malle, released by Eclipse. On their own they would justify the existence of the set. However, there are other riches as well. They were not Malle’s first excursion into documentary. In fact, he got his start in filmmaking when, still in his early twenties, he elbowed his way into being co-director with underwater explorer Jacques-Yves Cousteau of a documentary film, Le Monde du Silence (The Silent World, 1956). In 1962, he visited Algeria several times at the height of the Algerian war with the intention of a return to documentary. However, he was unhappy with his material and the footage was never edited. The same year, he filmed the Tour de France, following the marathon French cycle race with two other cameramen. 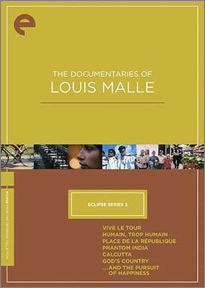 The result, Vive le Tour (1962), is the oldest (and shortest) of Malle’s documentaries to be included in the box set. An impressionistic view of the race, it is still highly enjoyable and has not dated. It could be a race from any year (although I am sure Tour de France enthusiasts would recognise which year’s race it is.) Instead, we have a strong sense of the ongoing meaning of the race to France and the French. A brief focus on doping seems to anticipate the less innocent world that is the Tour today, while Georges Delerue’s music score also seems to anticipate the score he would write for Malle several years later for Viva Maria. But ultimately the film itself is boring. Although we see some workers setting out to take their breaks, or doing some tasks repetitively, there is very little sense of people in the finished film. The sequence at the Motor Show goes on too long, and there is none of the camera/subject interaction that marks Phantom India. 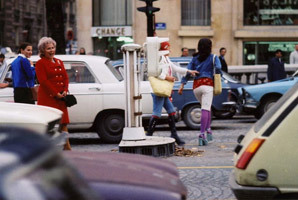 Place de la République (1974) is livelier. This is very simply an observation of people coming and going in and around the Place de la République in Paris, filmed over a period of ten days. Calmly, with no sense of exploitation, we meet a fascinating number of interesting people. There is the woman, bubbling and full of life, hustling because her husband of many years died three months ago. A retired, Jewish-Polish tailor spent the war in hiding. Another man had only six months of schooling because his school was requisitioned as a barracks for German soldiers. Malle’s filmography lists another documentary, Close Up (1976), a portrait of Dominique Sanda. Its status seems unclear. Some sources indicate that it was made as a private commission. Sadly, it is not part of this box set. Now, over twenty years later, God’s Country comes across as an intimate time capsule of heartland America. By letting the material sit for five years, Malle was able to capture the way that social moods can change. In 1979, the mood in Glencoe, a very white, successful and probably self-satisfied community, was optimistic. By 1985, now under Reagan’s Presidency, the mood had changed. But although it was largely Reagan’s policies that were hurting them, they were still rusted on Republican voters. This is very much a portrait of conservatives. What a shame Malle is no longer around to go back and have a look at Glencoe twenty years on. His other feature documentary was …And the Pursuit of Happiness (1987). Malle was commissioned to make a programme for television to mark the centenary of the Statue of Liberty. As a new arrival himself in the USA, he was interested in how newly arrived immigrants were thriving in their new home. He has assembled a rich array, a testimony to everything that migrants bring a country. In Nebraska, the only Vietnamese for miles around is the doctor. A top actor from Russia now gives acting lessons. And Arab Americans talk about the difficulty in being accepted. This is in 1986! This documentary box set is from the Criterion stable, under their new Eclipse label. This new label is designed to package rarer or more esoteric material in a more compact version. Over six discs, it includes Phantom India (over two discs) and Calcutta. Vive le Tour, Humain, Trop Human and Place de la République are on a single disc. The two American documentaries are each on separate discs. Apart from liner notes, there are no extras. All transfers are good, or reflect the quality of the source material, which is generally credited as “Une restauration: archives françaises du film”. Strangely, there are no end-credits on any episodes of Phantom India or Calcutta. In all cases, the film just stops, although there is no sense that any actual material is missing. However, who knows for sure without accessing probably complete copies. Also, it is a pity that, in the case of Phantom India, Eclipse has sourced the French version. Although it is certainly the original version, the English version is regarded by Malle as the better version. This box set is ultimately more than a footnote on an important filmmaking career, but a rich collection of insightful and fascinating documentaries, exciting films in their own right. Philip French, Malle on Malle (London, Faber and Faber, 1993).